Our 100% natural banana flavored chewable acidophilus is ideal for both adults and children. Each wafer contains a mix of two classic lactobacilli - acidophilus and bifidum - and is guaranteed to deliver 1 billion microorganisms.♦ In addition, our Chewable Acidophilus wafers are an easy, convenient and delicious way to receive digestive health benefits. 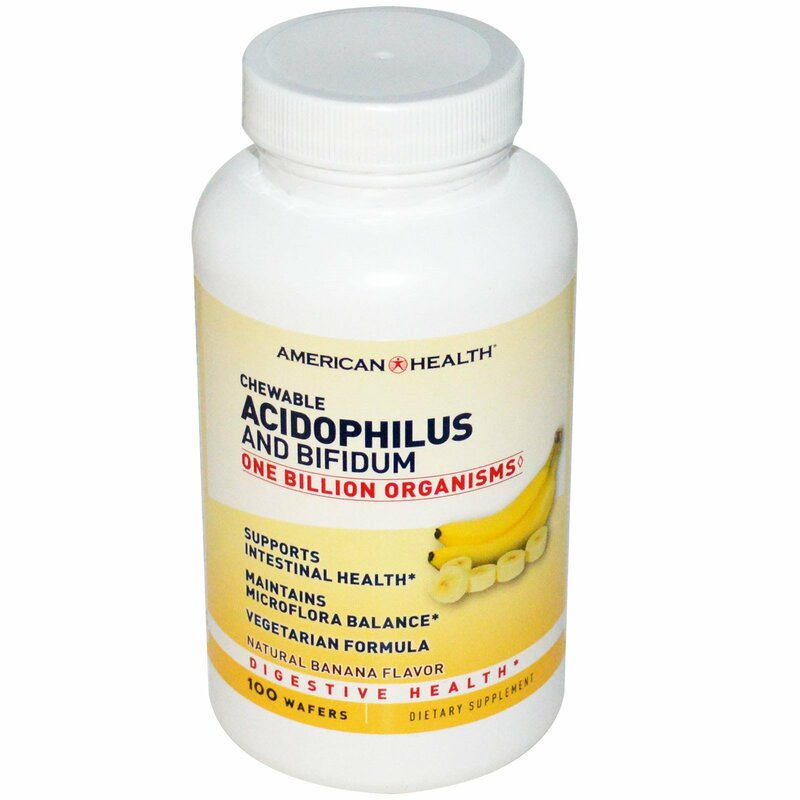 With Acidophilus and Bifidum, you can support your digestive health and feel good all day, everyday. 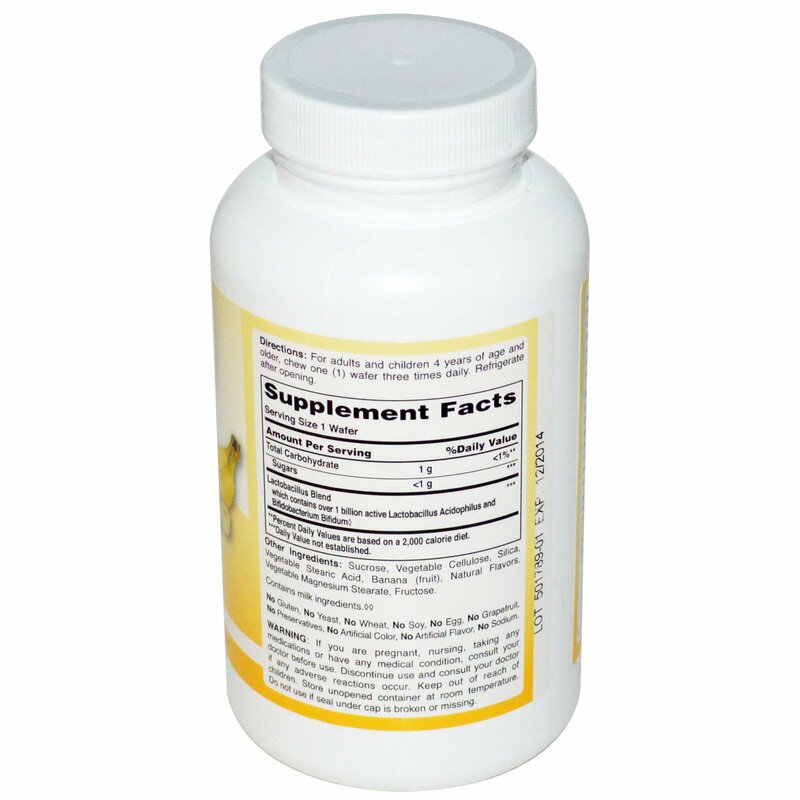 ♦♦Probiotic cultures are grown in a milk based medium. Milk proteins are later removed and are undetectable in the on-shelf product at 2.5 parts per million.